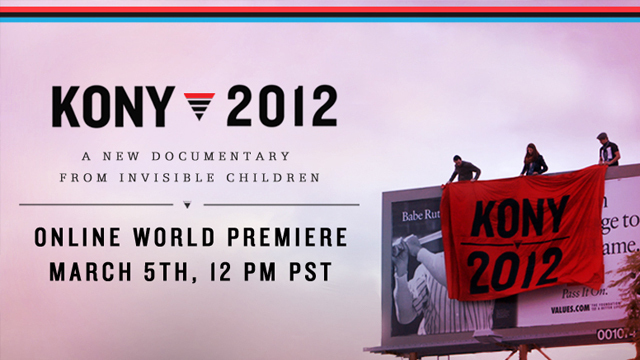 Invisible Children has released their latest documentary: KONY 2012. Joseph Kony is the war criminal leading Africa’s longest-running armed conflict. KONY 2012 is a 24-minute film that explains everything he’s done and how he can be stopped. The KONY 2012 campaign and film aim to raise awareness of Kony and his Lord’s Resistance Army by capturing the energy of the millennial generation, raise support for his arrest, and set a precedent for international justice. Pledge your support here. Invisible Children has been working for 9 years to end Africa’s longest-running armed conflict. The organization uses film, creativity and social action to end the use of child soldiers in Joesph Kony’s rebel war and restore LRA-affected communities in central Africa to peace and prosperity.